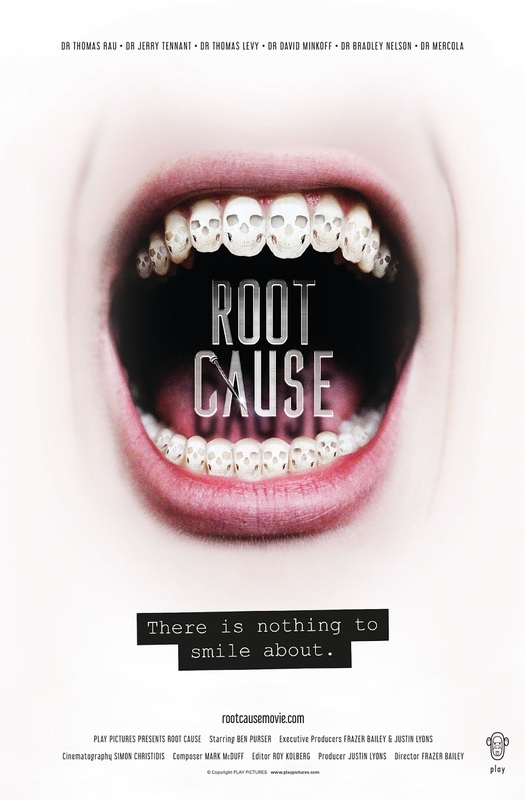 I wanted to write this post to share my professional opinion as a general dentist about a new documentary revolving around the potential dangers of having a root canal procedure done. Whether you have heard about the film or you have watched the entire thing from start to finish, this article is for you (and trust me, it will take a lot less time than 72 minutes to read this if you don't feel like devoting that much time to viewing the documentary). I do not care which side of this you agree with or are leaning towards, all I ask is that if you are to read this, you do so with an open mind. "Root Cause", chronicles a filmmaker's search for the underlying cause of his rapid onset chronic fatigue syndrome, anxiety and depression. The filmmaker's name is Frazer Bailey, and this is a quick summary of what led him to where he is at the beginning of the film. Bailey begins the documentary stating that he was on his way to a party on the beach when he noticed a domestic dispute occurring between a man and a woman. Bailey tried to intervene and got punched in the mouth by the male in the argument. This trauma led to one of Frazer's front teeth dying and therefore needing a root canal in order to fix his tooth. Bailey then starts describing to his audience what a root canal is. He states that during a root canal the dentist "removes the root of your tooth". This was my first red flag about the documentary. No part of your root is removed during a root canal. 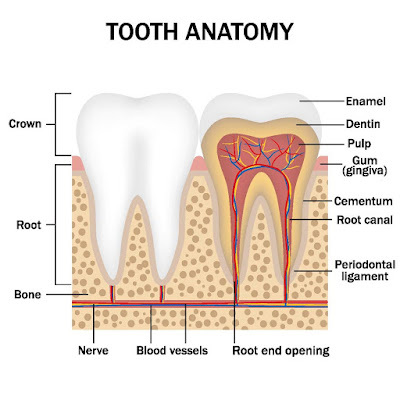 To put it simply, the outside of your tooth is made up of two main parts. The crown of your tooth, which is the visible white part you can see above your gums, and the root anchors the tooth into your jawbone below the gumline. 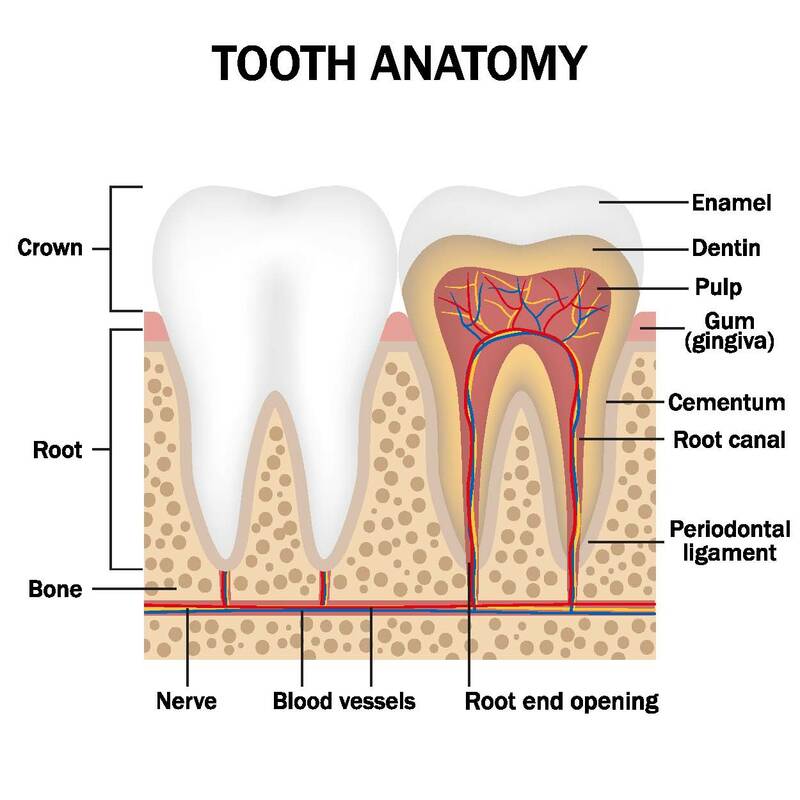 The inside of the tooth is made up of three main parts: the enamel, the dentin, and the pulp. The pulp is where all of your tooth's blood supply, nutrients, and nerves are housed. All of the blood supply, nerves, and nutrients enter the tooth from small blood vessels in your jawbone through the "root canal" and travel to the pulp. When a tooth has extensive trauma or severe enough decay (usually called a cavity), bacteria get into the pulp of the tooth and start causing an infection and eventually lead to the tooth dying. 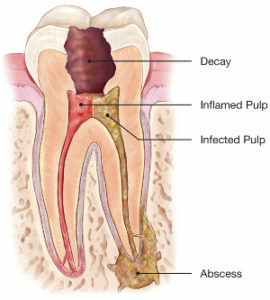 The infection then gets bigger and bigger as the bacteria multiply within the tooth. A root canal is simply named after the area of the tooth that is disinfected, cleaned, and filled when this occurs. Cleaning, sealing, and filling the "root canal" and pulp prevent bacteria from inhabiting the tooth, and since the nerve is removed in the process as well, the tooth can no longer respond to a painful stimulus. So back to the story....Bailey has the root canal done and goes back to his normal life, until ten years later. Bailey starts experiencing chronic fatigue. He describes this fatigue by stating he could get 10 hours of sleep, but feel as if he only got one hour. He starts to develop severe anxiety and depression due to his inability to get over this fatigue. Bailey starts seeking medical advice from different physicians in different specialities to see if a diagnosis can be reached. When he has no luck in the world of modern medicine, he starts trying holistic approaches to healing. Frazer states he has tried everything, but to no avail. 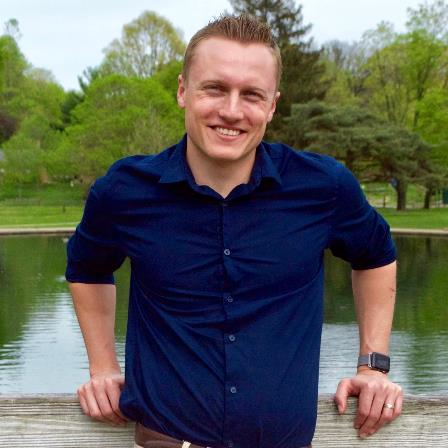 Feeling hopeless and starting to accept that he will have to just live the rest of his life with these symptoms, Bailey stumbles across a few podcasts and articles that talk about the dangers and health issues stemming from having a root canal done. He reads a study where 98% of women who were diagnosed with breast cancer of their left breast have had a root canal done on the same side of their mouth. This is at best a case-control study. These types of studies are often unreliable due to the lack of quality evidence and support showing that having one condition causes another. The film then starts siting studies done back in the early 1900's to 1920's that directly linked infected root canals with arthritis and heart disease. Fortunately for us living in 2019, dentistry has come a long way in the past 100 years and root canals are not done the same way as they were back then. Heart surgeries and organ transplants were done differently 100 years ago as well and they probably weren't all that successful either. Most dentists don't have the proper x-ray equipment to detect and diagnose an infected root canal. This is the third issue I have with the documentary. These doctors talk about needing a special x-ray machine called a "cone beam" or CBCT (cone beam computed tomography) scan in order to detect infections in the mouth and jaw. Now this point is not completely invalid. CBCT scans are 3D images that provide much more detail and information than a traditional two dimensional dental x-ray, and in certain circumstances, can detect infections or other issues that a traditional dental x-ray cannot. The problem I have with this though is during a later part of the documentary, Bailey sees a "holistic" dentist who properly diagnoses a recurrent infection in his tooth that had a root canal done to it. When they are reenacting this visit to the dentist, the dentist is showing him his infected tooth on a traditional 2-D x-ray!!! And trust me, being a dentist myself, if this was indeed the case, those other dentists he saw would have to be blind not to see the infection they pointed to in the x-ray. So the tooth was pulled and replaced, and the infection cleared up and gone, Frazer over the course of the next six months to a year started feeling like his normal self again. He states that he hasn't been fully healed and 100% back to where he used to be, but he feels like a normal person again and can start enjoying his life. The documentary then finishes with a cheesy dental Baywatch scene of sorts with a dental assistant (lifeguard) who gives some "tips" for everyone to keep in mind concerning their dental health. She states that if you are going to go to the dentist, make sure he/she is a "holistic dentist". This type of dentist is specially trained to remove your tooth along with the surrounding ligaments to ensure no recurrent infection develops. There is no such thing as a "holistic dentist"
Sorry to burst your bubble, but a "holistic dentist" is just a self-given title. I'm sure there's an online course you can take somewhere, pay a small fee, and have a little certificate printed on fancy paper "certifying" that you are trained in holistic dentistry, but it's worth about as much as the paper it is printed on. It is no different than if I invited you over to my house for dinner and made a really good chicken parmesan and proceeded to call myself a "gourmet chef" because I watched a few episodes of Chopped and Iron Chef America. 1. One of the best thing you can do for your overall health is keep up with your oral hygiene. The documentary briefly discusses how your oral health is related to your general health. And this is very true. First of all, if you are not taking two minutes twice a day to brush your teeth, you are most likely not making other good healthy choices such as taking the time to exercise or eat healthier food. Bad habits like this take the body from a state of health and wellness, to a state of disease and illness which can lead to heart disease, cancer, diabetes, etc... Secondly, the oral cavity is a gateway to the rest of your body. Your mouth contains so many different types of bacteria having a lifelong pool party in your saliva. The bacteria clump together on your teeth and create a biofilm called "plaque". This plaque then calcifies and hardens over time and becomes calculus (not the math subject) better known as "tartar". This plaque and tartar builds up between the teeth and gums causing inflammation and bleeding. Once your gums start to bleed, bacteria have an open door into your blood stream where they can do many harmful things. One of the worst scenarios that can happen is the bacteria can clump up on your heart valves just like they do on your teeth as cause a deadly infection called "infective endocarditis". So in closing, brush your teeth!!! If you watch the documentary in full, they like to say the word "infected" along with "root canal". 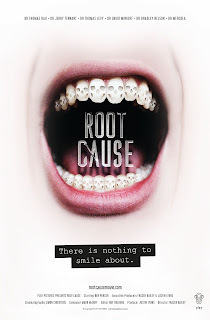 Not all root canals are infected. Contrary to popular belief, when you have your tooth fix. 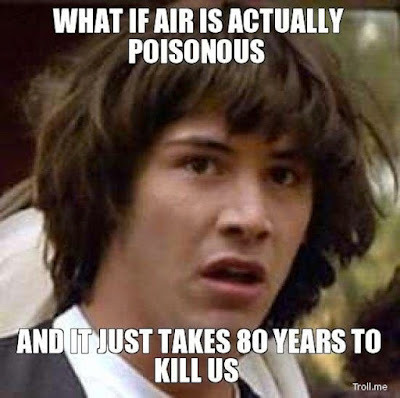 It's not a lifelong solution to the problem. Eventually, most dental work you have done will need to be readdressed at some point in your life. Your teeth are a lot like a car. You go in for your routine oil changes, and sometimes the mechanic finds a small issue like a spark plug or the catalytic converter that needs to be replaced. After so many miles you need new tires and brakes. You go to the dentist every 6 months for your routine exam, x-rays, and cleaning, and sometimes the dentist finds a cavity that needs to be fixed or a tooth that has chipped. Eventually, after so many "miles" that you put on your teeth, more extensive care like crowns or root canals may need to be done to maintain your oral health. Now just like new brakes and new spark plugs, they won't last forever. Fillings can crack or get a new cavity around them, and root canals are not always successful in treating the tooth and can get re-infected. Teeth that have had root canals become more brittle and susceptible to fracture and cracking because the tooth no longer has a blood supply and nutrients going to it. Over time, chewing on a tooth that has had a root canal can cause microscopic fractures in the tooth that can cause bacteria to re-enter the tooth and infect it. If your tooth does become re-infected, you will have to address it. Any infection in your body is not a good thing and should be removed as infections can enlarge and spread to other areas of your body. You can try to have the root canal re-treated but there is a higher rate of failure and the tooth has a higher chance of needing to be extracted. While this documentary does have a couple very small and briefly discussed truths about it, most of it is based off of very vague correlations and outdated or disproved researched. Some of the doctors interviewed in the documentary have even lost their licenses to practice medicine or dentistry because of some of the claims they are making or have made in the past with false or non-credible research. If you care to read even more about this film before or after watching it, here are some links below to read about what other people are saying. Let me know what you think about all of this. Thanks for taking the time to read my post.